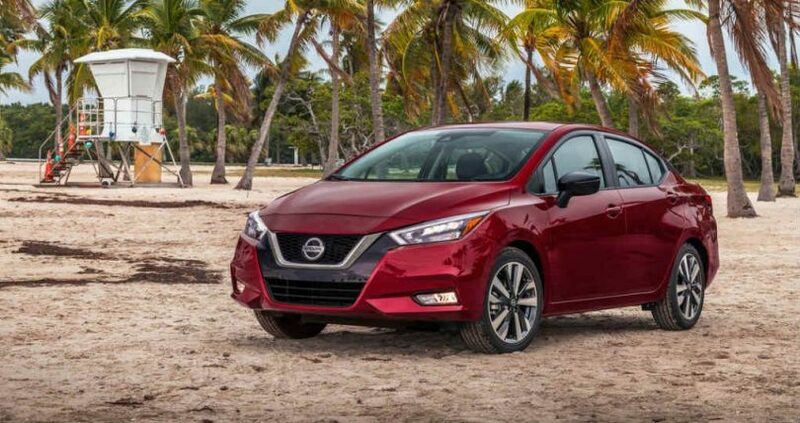 Nissan has unveiled the new 2020 Sunny also marketed as the ‘Versa’ at the ‘Rock the Ocean’s Tortuga Music Festival’ for the international markets, ahead of its launch, at the New York Auto Show 2019. The Nissan Sunny is built on Nissan’s ‘V’ platform and the new Sunny is a modern design and of course will be more expensive. The V-platform is shared with the international Nissan Kicks. It is the second-generation Sunny for the Indian market and comes with more updated features. 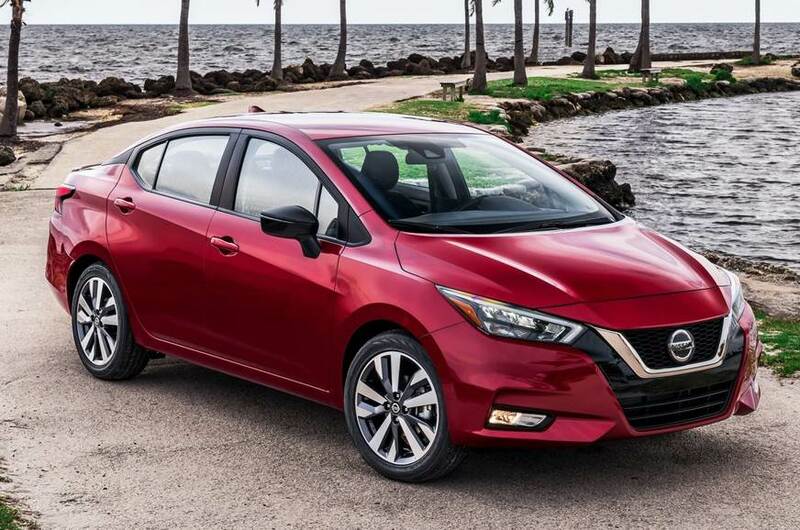 Nissan’s new design philosophy is seen on the 2020 Sunny and is inspired by the Maxima and Altima sedans. The front of the new Nissan Sunny comes with a V-shaped signature grille and bumper. The headlights are a very sharp looking boomerang shaped all LED units with LED daytime running lights. 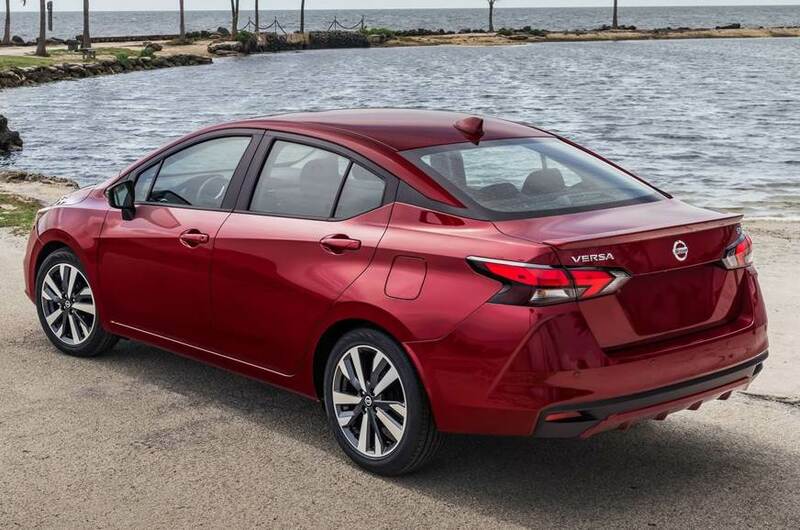 The tail lights wrap around the rear with an angular sleek look. The rear bumper looks large and is accentuated with a black applique and a diffuser at the bottom. The floating roof design is inspired by the Nissan Kicks and has black surrounds on the pillars. The alloy wheels have a 5×2 spoke split machine cut design. 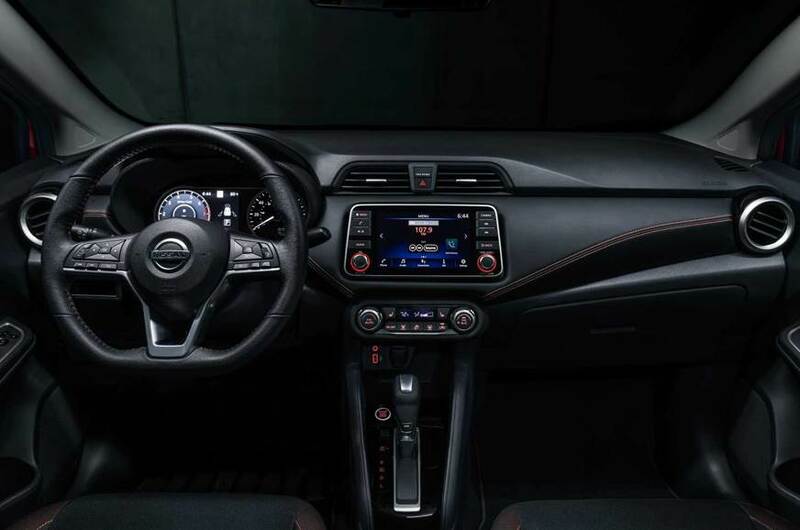 The interiors of the car feature a large touchscreen infotainment system, below that, are the two pod controls for the climate control system. The flat bottom steering wheel comes with mounted controls and an analogue speedometer and tachometer with a central multi-information display on the instrument cluster. The cabin on the new Nissan Sunny appears very spacious, which was always the trump card of the Sunny sedan. The engine that Nissan will launch the Sunny with is a 1.6-litre petrol engine that makes 124 HP of power and 149 Nm of torque with a CVT (continuously variable transmission) transmission and front-wheel drive. The engine is borrowed from the international-spec Nissan Kicks. If Nissan launches the new Sunny in India it is expected to come with a diesel engine, similar to what we see on the Kicks. 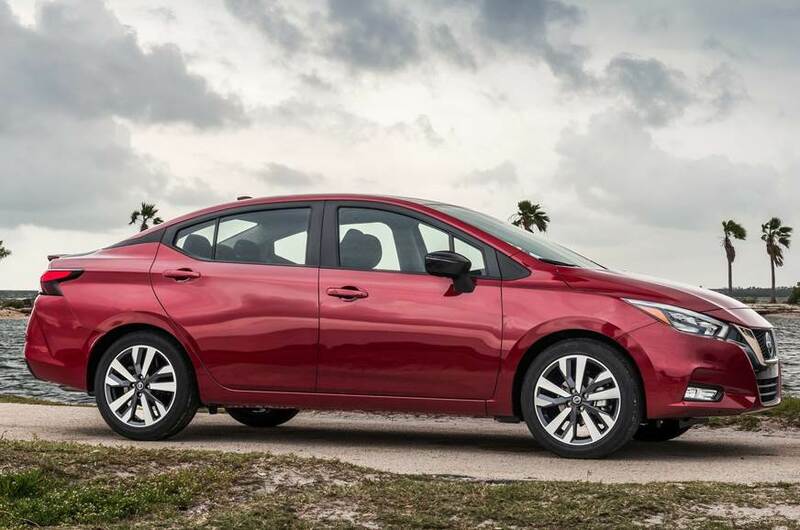 The Nissan Sunny will compete against the Maruti Suzuki Ciaz, Honda City, Hyundai Verna and the likes. The current Nissan Sunny is powered by a 1.5-litre, 4-cylinder petrol engine producing 99 PS of power and 134 Nm of torque. Also, a diesel-powered 1.5-litre, 4-cylinder motor that produces 86 PS of power and 200 Nm of torque. Both these engines are coupled to a 5-speed manual transmission and front wheel drive. A 101 PS version of the 1.5-litre petrol engine is also available with a 5-speed CVT transmission on the XV model.